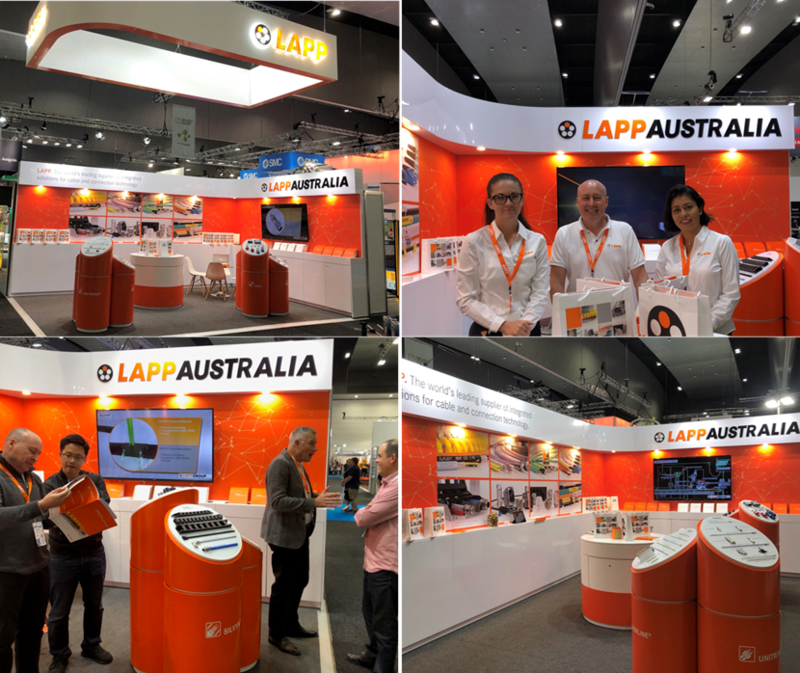 LAPP is bridging a gap in the Australian market for quality European manufactured cable products backed by dedicated local support has been well received for its service, expertise and extensive range at its AUSPACK debut in Melbourne last month (March 26-29). “Visitors appreciated the wide range we had to offer, which has grown to more than 1,500 products in Australia in our first year of operation,” said Lapp General Manager, Mr Simon Pullinger. “We also have access to the full Lapp range of more than 40,000 products, and we can provide stock with quick turnaround times, typically within one to two weeks. We’re helping bridge a gap in the market for quality European manufactured products, backed by local support, and AUSPACK visitors gave us excellent feedback in this area,” he said. LAPP’s AUSPACK display included globally proven ranges such as: ÖLFLEX® connecting and control cables, SKINTOP® cable glands, ETHERLINE® ethernet cables, UNITRONIC® data cables EPIC® Connectors, SILVYN® robust cable protection and supply systems, HITRONIC® super-fast fibre-optic cables and FLEXMARK® cable marking systems. “We had a wide range of interest in Lapp’s products and service capabilities, particularly from the machine builder, food and beverage, packaging and pharmaceutical industries,” said Mr Pullinger. One of the major focuses for LAPP is uniform Standards compliance, which was a widely discussed topic at AUSPACK this year. “Machine builders have experienced some real headaches exporting to markets like North America, where failure to comply with UL regulations has led to the entire machine having to be disassembled and reassembled on arrival,” explains Mr Pullinger. “All Lapp cables are globally certified to meet every country’s requirements, which means that Australian export companies can avoid expensive mistakes when one component isn’t up to standard,” he said. For more information about LAPP, and it's range of solutions - contact the team on 1800 931 559.